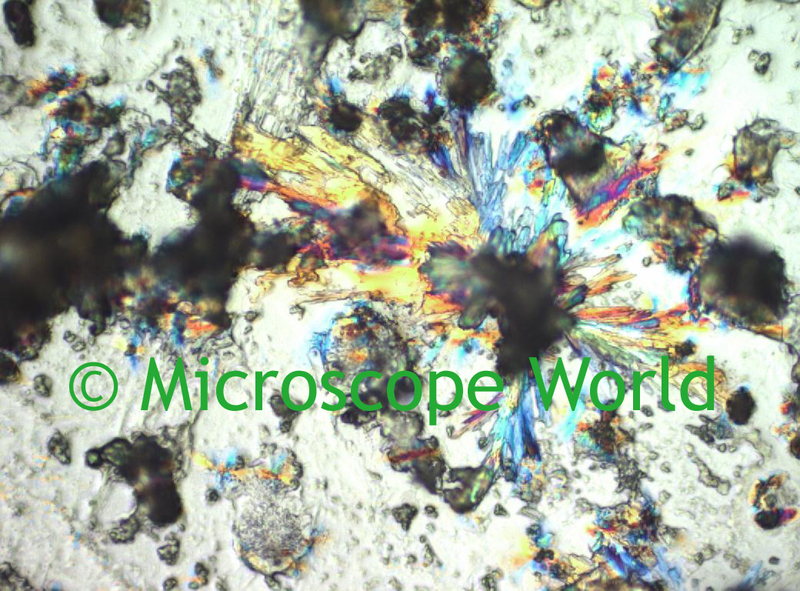 Fluoboric acid (HBF4) is the principal precursor to fluoroborate salts, which are typically prepared by acid-base reactions. 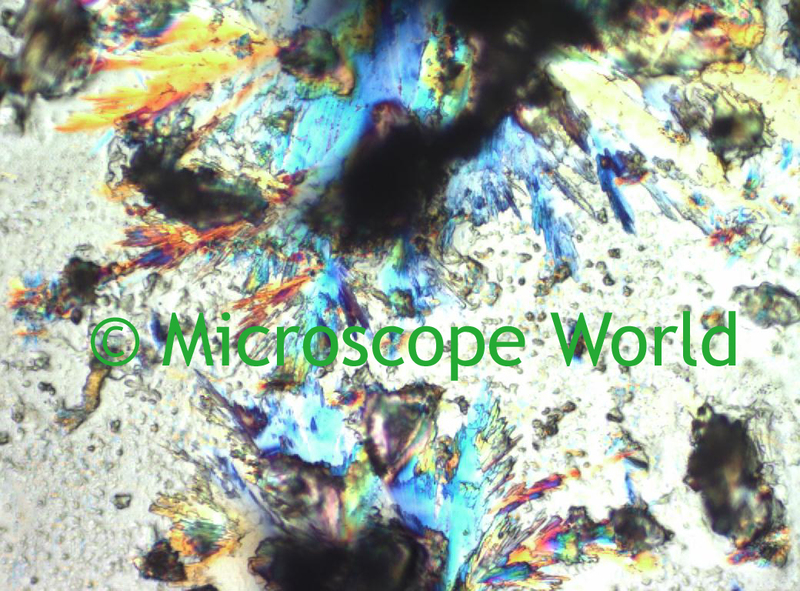 The inorganic salts are intermediates in the manufacture of flame-retardant materials and glazing frits, and in electrolytic generation of boron. HBF4 is also used in aluminum etching and acid pickling. 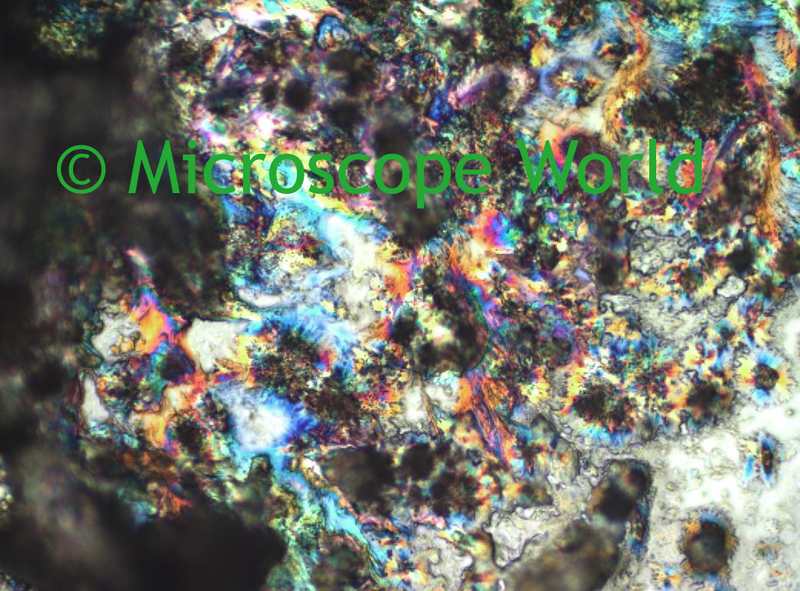 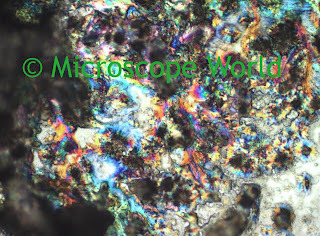 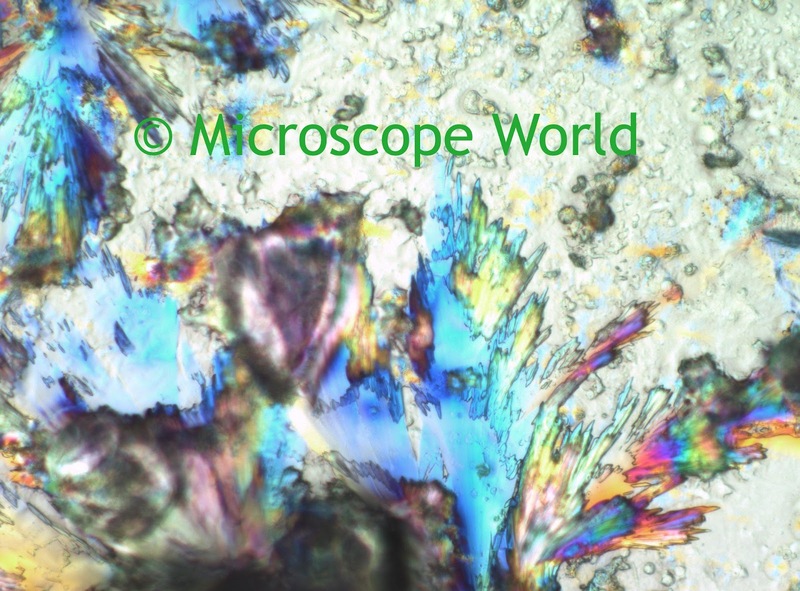 Microscope World captured these images of fluoboric acid using the MT9300 polarizing microscope. Polarization allows the colors of the fluoboric acid to show up under the microscope.